Go birdwatching with a Birdingpal from Massachusetts. I list Amherst as my locale as it is easier to find, but actually the areas I would show visitors are in Orange and Wendell MA, rural areas to the north and east of Amherst. There is lots of good riparian habitat, mixed deciduous/mixed age woodlands, a lot of old farm fields, and some limited areas of spruce at higher elevations for some typically more northern species. You could link my name to the MA breeding bird atlas for Orange Blocks 5 and 8, they are my home turf. J Sharp Arlington, Massachusetts I am retired and I may have most times available. English only, for fluent speech, but I can speak a bit of French and German. I live and work in Central Massachusetts as a geographer at a local university. 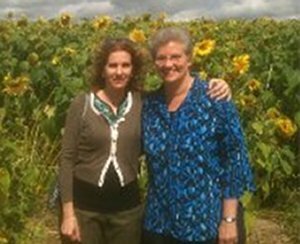 Although I have good knowledge of Central Massachusetts, I am very familiar with a variety of habitats and their niche species for the entire state, from the mountainous Western regions to the coastal plains. I welcome visitors anytime of year. I am an avid bird watcher, but no means an expert. I live close to the Oxbow National Wildlife Refuge, Bolton Flats, and Great Meadows Wildlife Refuge. My home area of Harvard and Bolton in central Massachusetts includes farmland, overgrown fields, mixed deciduous forest, some mature pine forest, a number of wetlands, beaver ponds, wet woodlands, and a powerline right-of-way with low scrubby vegetation. 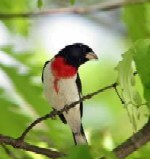 Some local birding areas are Oxbow WMA, Bolton Flats WMA, Delaney WMA, Wachusett Reservoir IBA, and Fruitlands Museum. I am working on the MA breeding bird atlas for Ayer Blocks 3 and 9 and Hudson Block 7 (in which I live). 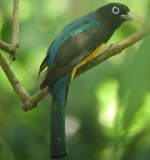 I have been birding for several years, including South America, Asia and Africa. I bird locally in Eastern Massachusetts and Southern Rhode Island. The area is good for land birds during fall and spring migration. There are also some shore bird hot spots. Backyard birder; great migratory birds; Audubon volunteer." I've been leading local bird trips for eight years, and enjoy working with beginning birders. Mt. Auburn Cemetary - spring songbird migration, Plum Island, Quabbin Resivior, Cape Cod (more limited). Nature: birdwatching, twitching, photography, butterflies, walking, hiking, train, bus, car, long walk, Visit: ski runParticipate: Dragonflies, Rocks and Minerals. New to the area but I am learning. I am an avid bird watcher but no means an expert. I live close to the Oxbow National Wildlife Refuge, Bolton Flats, and Great Meadows Wildlife Refuge. I am the editor of the regional birdwatching journal Bird Observer. I live on the South Shore of Greater Boston, where there is an excellent diversity of habitats. I'm a backyard birder. I have a large backyard that boarders the woods. We have numerous flowers, feeders, bird baths, houses that attract a lot of the normal birds, i.e. Finches, Cardinals, Chickadees, Bluejays, Titmouse, Nuthatch, Woodpeckers, etc. We have also had a lot of luck with Hummingbirds who visit all day long. We have a window feeder that is up close personal. This past summer we watched a couple of Crested Flycatchers raise their young, as well as a Wild Turkey and her 8 little ones. I had one Bluebird sit on my porch roof - but haven't seen him/her since. I'm working on getting those and Baltimore Orioles to be regular visitors. I'm a member of Mass Audubon and can find some hotspots. I'm an intermediate level, serious birder. I prefer finding good habitat and taking time to ID and watch behaviors - I'm not a twitcher. Near Plum Island, willing to travel for rare sightings. 76 years old Male I have 4 humming bird, 4 sunflower, 1 suet Feeders and a running water bird bath. Good variety year-round. Unique history biodiversity. It takes extra effort to get here but it's worth it. Live on Nantucket most of the year. I can give referral to areas to bird and I may even go birding with you. Currently, I have weekends and a mid week day off. Birder for 60+ years, limited walking stamina but OK in drivable areas. Connecticut River Valley with wide variety of habitats and variable seasonal species. Routinely see 150+ species in normal year. Enjoy sharing information and showing people around area birding spots; birding in good company always makes for the best day. Let me know your targets and I can suggest some ideas for where to go. I'm also a volunteer trip leader with a local club, so all skill levels are welcome. Eastern Massachusetts is a 4-season birding destination: there's something fascinating here in any season. A place near a birding hotspot, operated by Pals who cater to birders' needs. This 11 mile long island is where I live, on a tidal basin of the Merrimac River, in a sweet home with two very reasonable guest rooms. 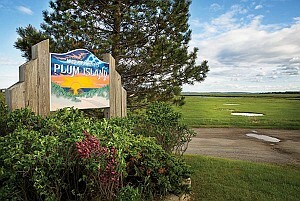 Plum Island is also home to Parker River National Wildlife Refuge, a mile away: a premier birding locale year round. What birds do we see here? I'm an avid birder, enjoy hosting birders, and happy to offer local tourist info to birders in the area. Look forward to meeting you! P.S. I notice that the current listings for bird-friendly lodgings in MA are all more costly, traditional B&B/inns. 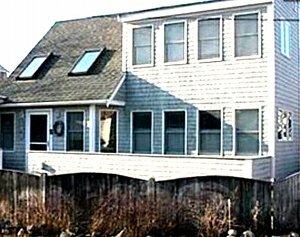 As a birder & teacher, who looks for economical, budget-friendly accommodations when I travel, I hope to see more listings such as mine at Birding Pal.